Dr. Young-Ho Oh, an orthopedic surgeon at Harrington Physician Services in Southbridge gave us an overview of Osteoarthritis including statistics: 36-40 million Americans have joint inflammation as well as severe long-term pain and disability. Most of those suffering are in their 60’s to 70’s with more women than men. This number is expected to increase to 40 million people by 2020. The three primary causes of this pain are the result of aging, genetics, or the cartilage doesn’t regenerate. The secondary causes are injury, trauma, abnormal joints, gout, surgery, or diabetes. Unfortunately, there is no cure but there are treatment options including weight loss, exercise, anti-inflammatories, cortisone or gel shots and some vitamins and medical supplements. Surgery should only be considered after everything else fails. Opt for the surgery only when the benefits outweigh the risks. In most cases, there is a 90% satisfaction rate and maximum recovery usually takes a full year when recommended therapy and exercises are followed. Dr. Oh’s presentation gave us a much better understanding of pain. 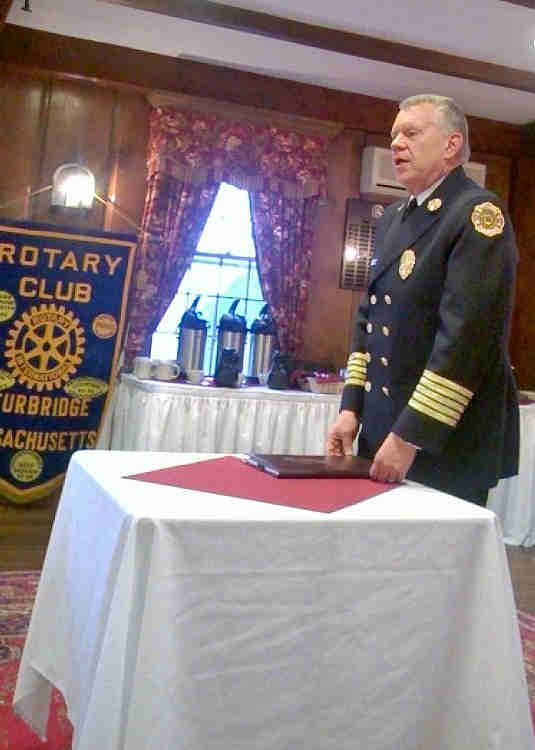 The Sturbridge Rotary Club continues to expand its membership to support the many regional and international activities it accomplishes each year. This past year, the Club participated in the funding of a blood collection facility on wheels at a hospital in Pune, India. Locally we give scholarships to area students, sponsor literacy projects, raise funds for food banks, participate in the United Way Day of Caring, help fund the expansion of the Big Brother Big Sister Southern Worcester County Mentor Program and maintain Rotary Park on Main Street in Sturbridge. 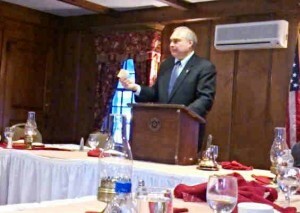 We also updated our website and created a Facebook page (www.facebook.com/sturbridgerotary). 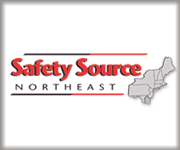 We are planning an Open House information meeting on May 4, 2015 at 6:00 PM at the Publick House in Sturbridge. The Club is looking for energetic community-minded individuals who would like to network with community leaders, to give back to the community, and to have fun in the process. If you want to learn more about Sturbridge Rotary, or to help us achieve our goals, please confirm your attendance at our Open House information meeting by clicking the ‘Contact Us’ tab on this website. Bring your appetite for a great Publick House Dinner! Mark Wood, Principal of Tantasqua’s Technical Division and Cheryl Hackenson, Business Technology educator spoke at our recent meeting about the Technical Division. Principal Wood gave an interesting comparison between the Technical Division of today versus several years ago. 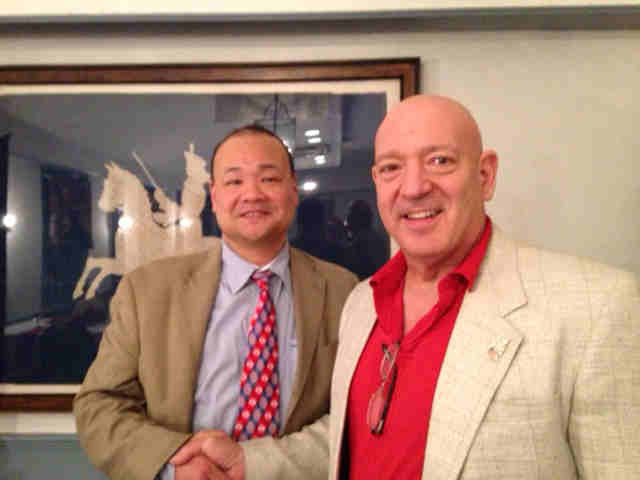 He also thanked us for the many, many years we have given scholarships to the TRHS students, the RYLA students, and participating in their annual Craft Fair. Cheryl spoke specifically about the Business Professionals of America (BPA) competition that senior Katherine Commans won for the State of Massachusetts. Katherine’s score in Applied Accounting was so far above the competition that no second or third place awards were chosen. She now competes in Anaheim, CA for the National BPA competition. 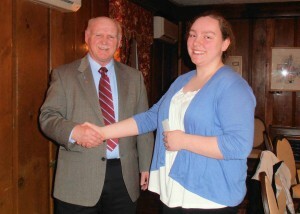 Sturbridge Rotary donated funds so Katherine can attend and compete in the Nationals. 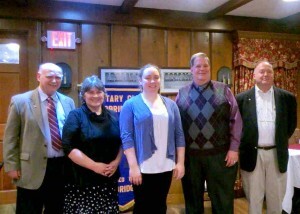 Katherine told us how very excited she is to be competing and how deeply thankful she is for Sturbridge Rotary’s support. We are confident she’ll win! We all went home feeling really good about the Tantasqua Regional High School students and what we do to help them succeed. Chief David Zinther from the Sturbridge Fire Department was a guest at our meeting. Moving to Sturbridge from the Chicago area has been an adjustment on many fronts but one he is really enjoying. The Chief is working to bring the department up-to-date as reflected in the codes his department must meet. The department is facing a shortage of manpower, as well as aging vehicles and equipment – the latter of which is very costly. He will be seeking assistance from the many local civic clubs and fraternal organizations to help fund the purchase of a mechanized cot/stretcher system for the ambulance which costs $40K. The cot system helps lift patients and the system locks securely into the floor of the ambulance. This new system is much safer for the patient, and because some patients are heavier today, the system helps guard against injuries to the paramedic staff. He is also seeking two qualified firefighters which is difficult due to the requirements of being both a firefighter and a paramedic and too often people want to be one or the other, but not both. He also spent time discussing the issues with fire hydrants, public and privately owned. All the issues Chief Zinther is facing affects our grading system used to determine which towns have the best rating for their departments. 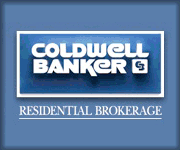 The rating system can ultimately impact a buyers desire to move to Sturbridge. A very enlightening presentation. 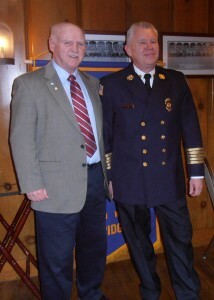 Chief Zinther is a welcome addition to Sturbridge. 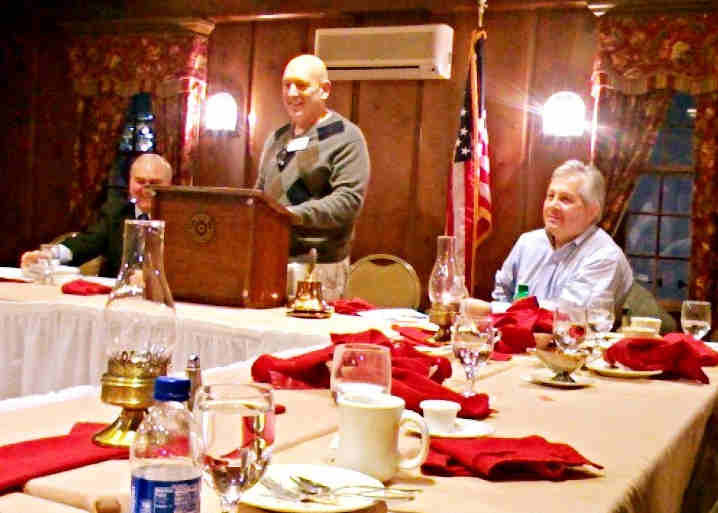 Bob Anthony from the Wellesley Rotary Club and Ron Bott of the new Nashoba Valley Rotary Club spoke with us about their experience in forming an Interact Club. There is a handbook which includes step-by-step instructions on creating an Interact Club. An excellent way to initiate a club is to get the RYLA students involved and they’ll talk it up to the other students so getting the 15 kids that are needed shouldn’t be an issue. Both men found that it is the kids who drive successful clubs. Once the kids start meeting, it’s up to them to decide what is most important to them and that becomes their mission. There is a curriculum already created which is helpful to get the kids started. An Interact Club is supposed to be independent of the Rotary Club that sponsors it and should raise its own money to accomplish its goals. 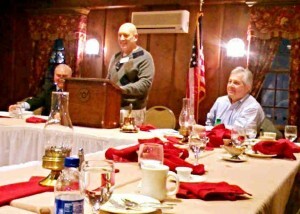 Leadership from the sponsoring club should include: one Rotarian, one leader from the school and possibly one parent. It’s best to get the principal on board about the club and have the parents sign waivers allowing the kids to be in videos and photos in an effort to save problems later as social media is so much a vital part of clubs of this type today. There are two types of Interact Clubs: One is school-based and meets every week but only during the school year. A teacher would need to be involved and the sponsoring club would need to pay her/him a stipend. The other type is a community-based Interact Club where the students meet somewhere in the community. The sponsoring club determines if they meet weekly, bi-weekly, or monthly. The Brookfield Club will partner with us if this project moves forward. While everyone recognized that forming an Interact Club was one of the goals of the Sturbridge Visioning Initiative, the two clubs will meet again to discuss further.